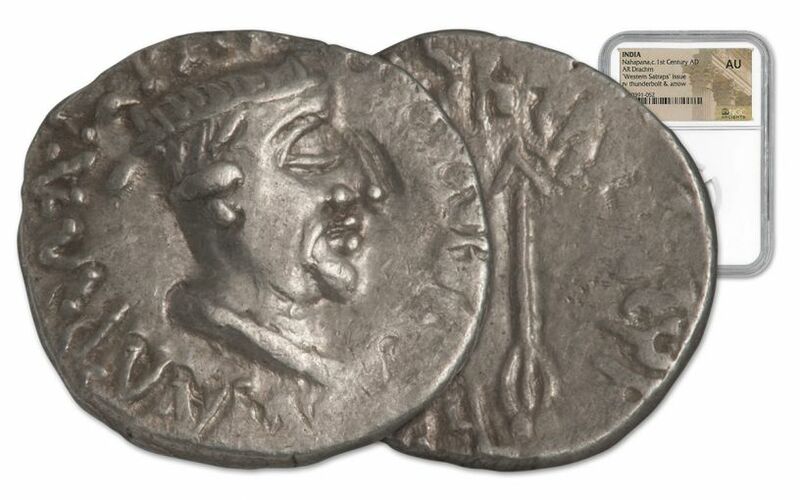 This Ancient Silver Coin Travels the Silk Road into Your Collection! 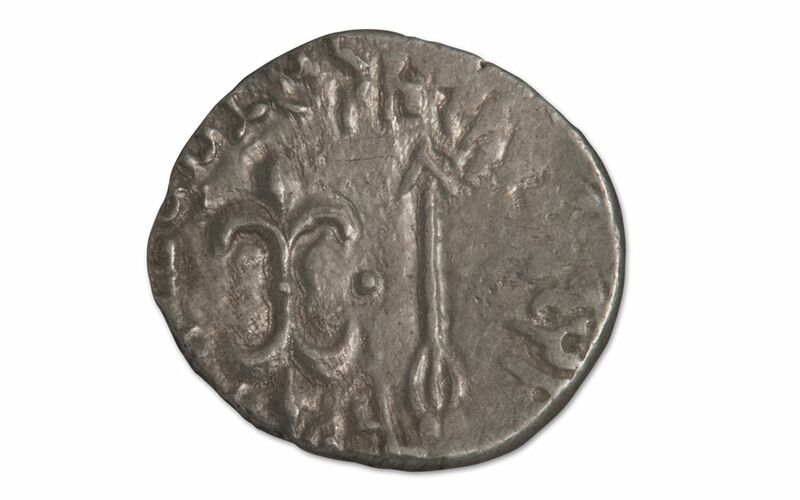 This Silver Drachm Coin of King Nahapana was struck around 100 AD in what is now Western India. It comes from the area of the Silk Road, later made famous in western literature by Marco Polo. The Silk Road was a route used by caravans to carry the exotic luxury goods of the Far East westward into Europe. 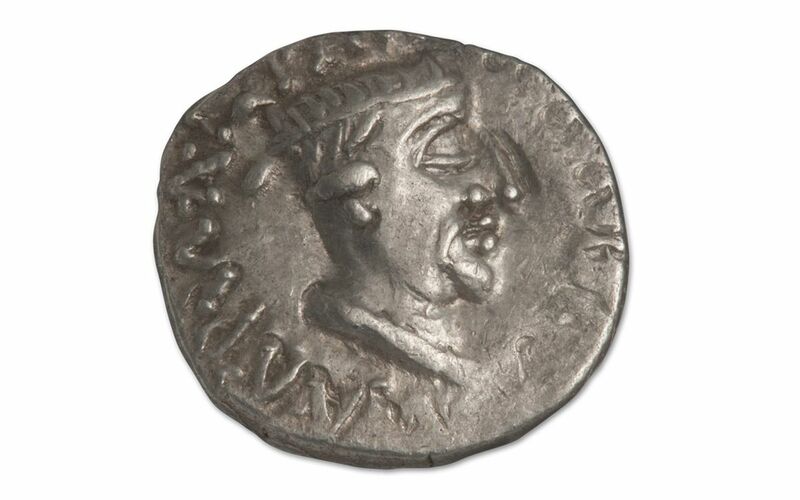 Nahapana's kingdom was a major source of luxury items imported from the Far East to Rome. About the size of a modern-day quarter, the drachm represented a denomination that originated from ancient Greece, later becoming a standard around the developed world. This coin shows the portrait of King Nahapana wearing a crown on the obverse, and a thunderbolt and arrow on the reverse. 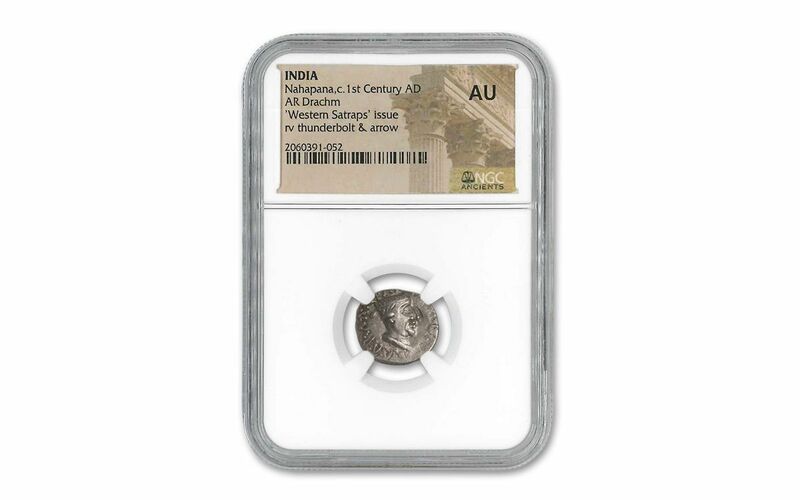 The coin grades About Uncirculated (AU) by Numismatic Guaranty Corporation (NGC) and comes encapsulated in an acrylic holder to protect your coin's status forever. Even though this coin is relatively inexpensive, it is not often seen and it makes a great addition to your collection.